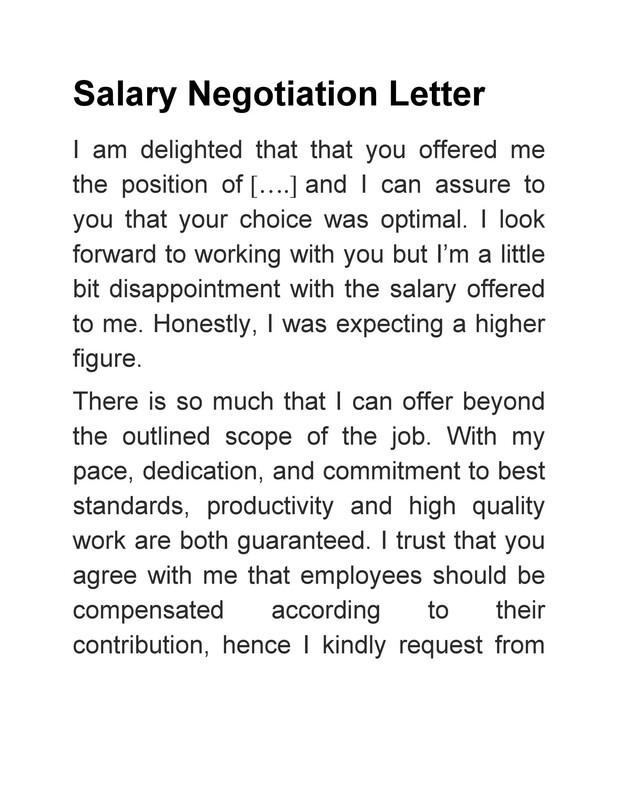 If you receive a job offer, but you’re not satisfied with the accompanying salary, consider writing a salary negotiation letter. 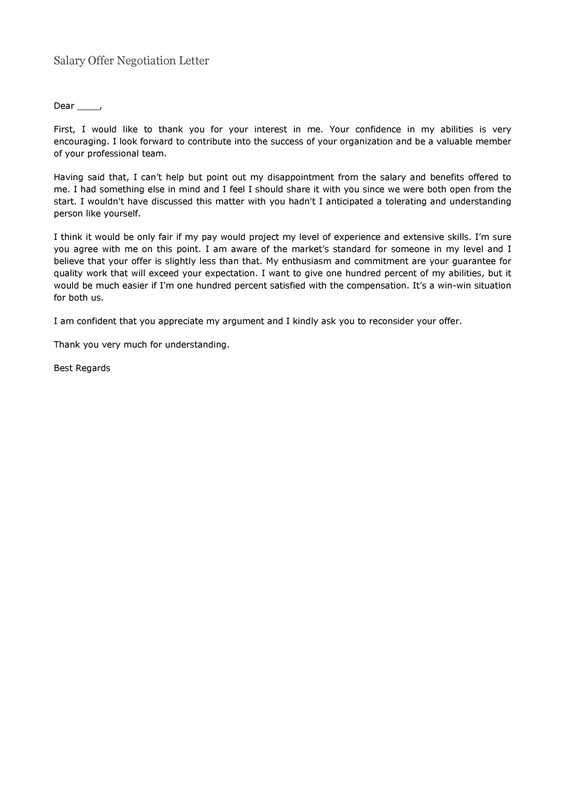 This is a written response that you as an applicant furnish to an employer. 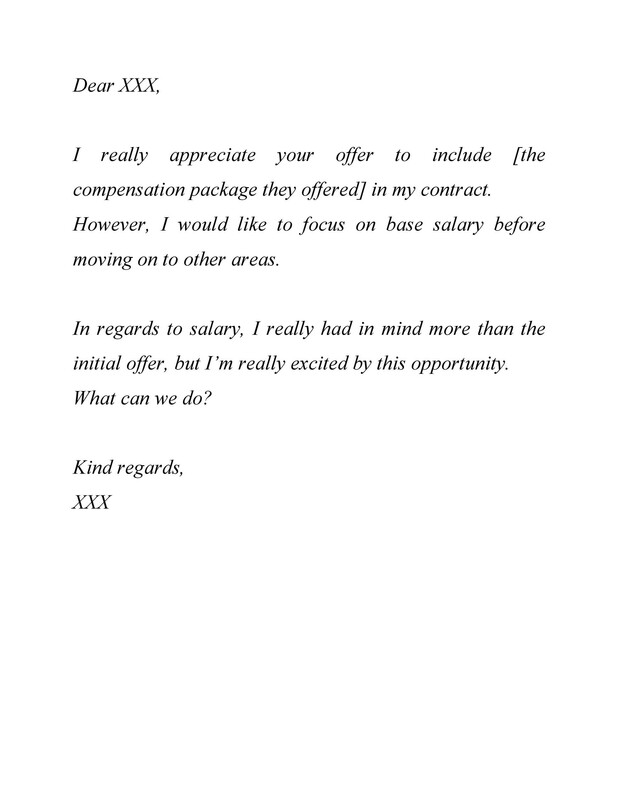 In the letter, you can send a counter offer if you feel like you deserve higher compensation for the job offered to you. 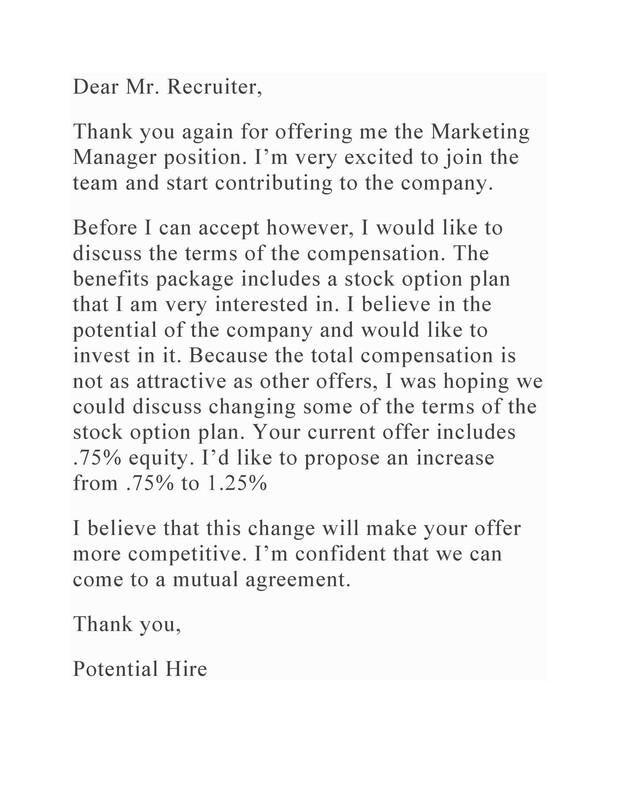 Expressing your interest in the position is an important aspect of a counter offer too. 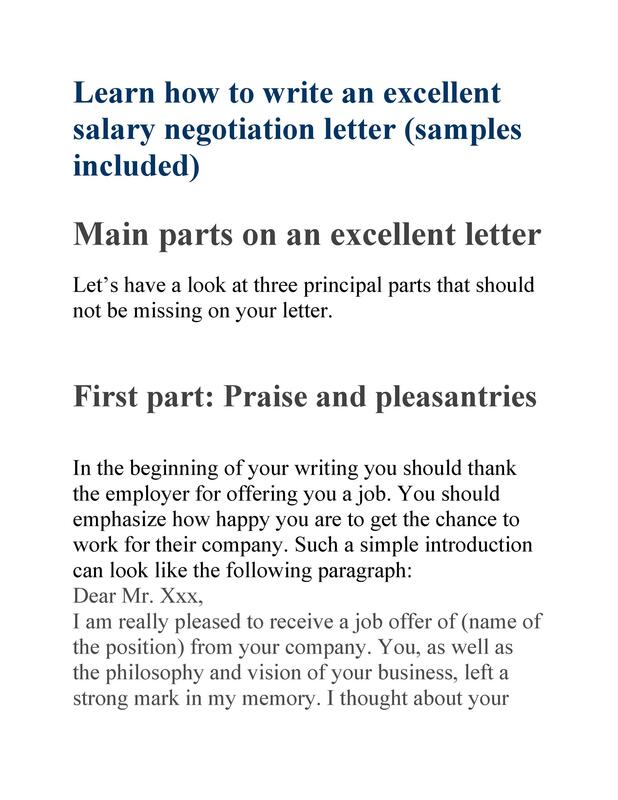 Here’s a guide on how to make this letter for when you need to negotiate on salary. 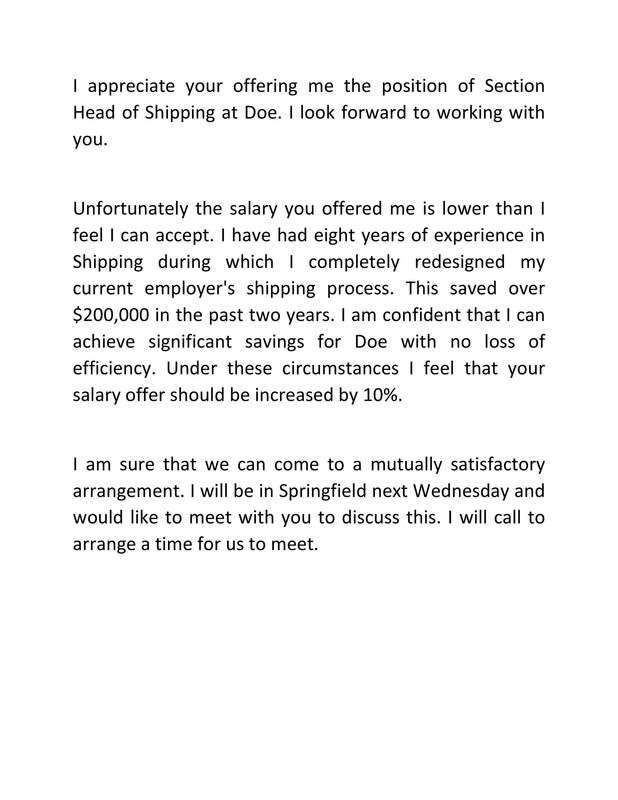 2 How do you negotiate salary after receiving a job offer? 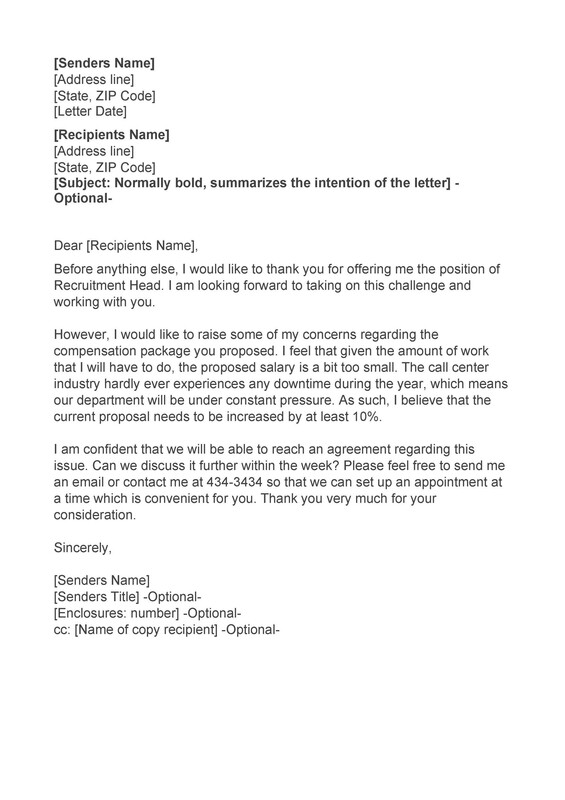 5 How do you write a counteroffer email? 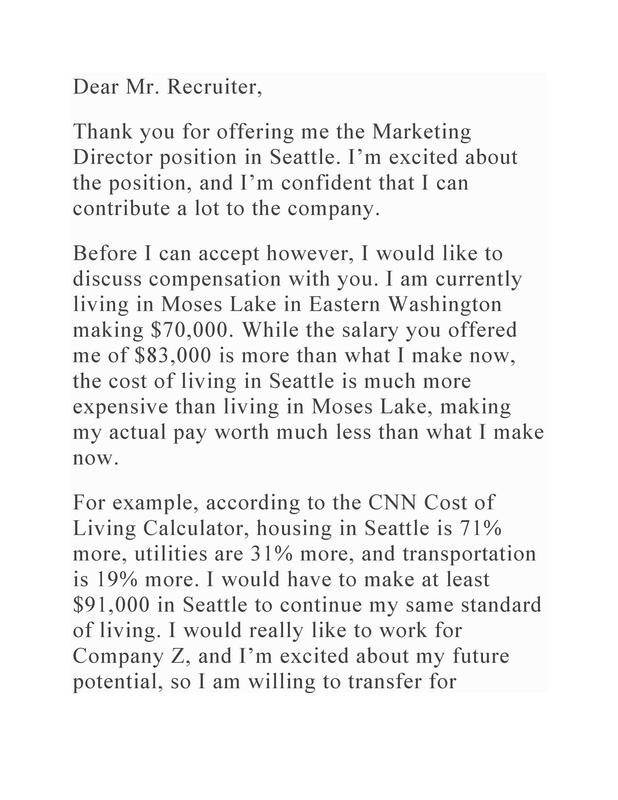 7 How do you negotiate a higher starting salary? 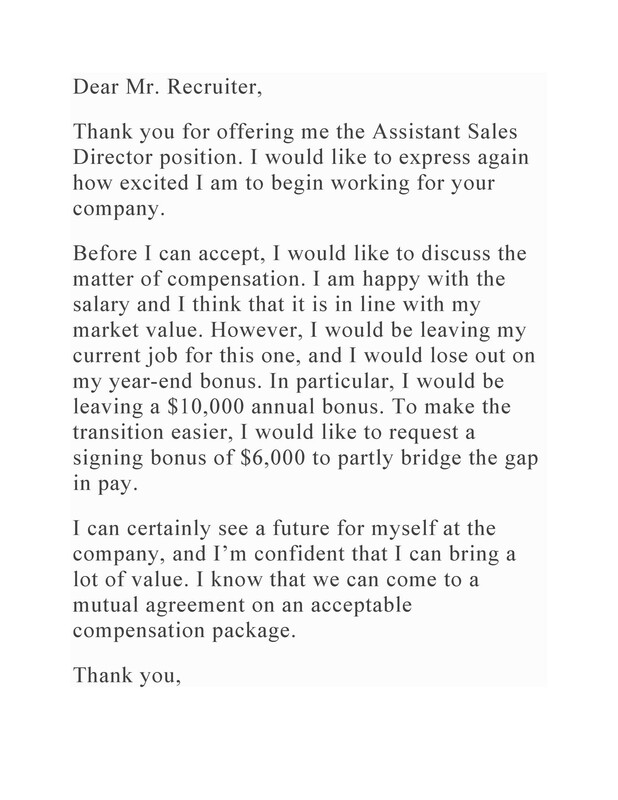 How do you negotiate salary after receiving a job offer? 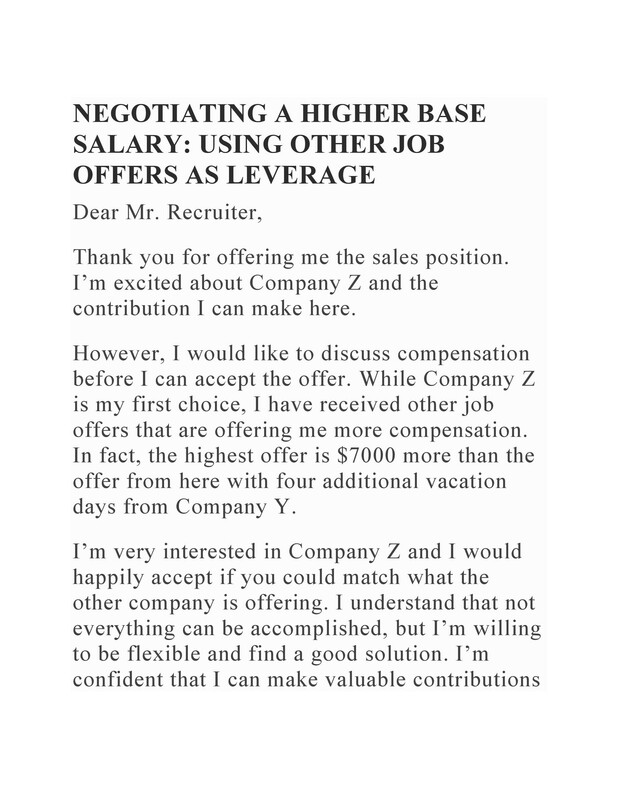 We all want to have a high base salary when we start a new job. 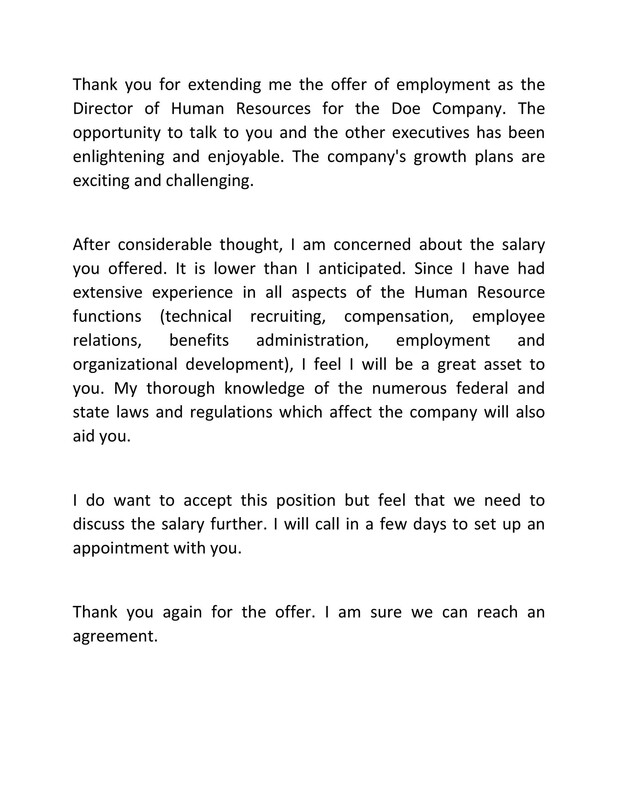 This base salary will be our starting point and the higher it is, the better. 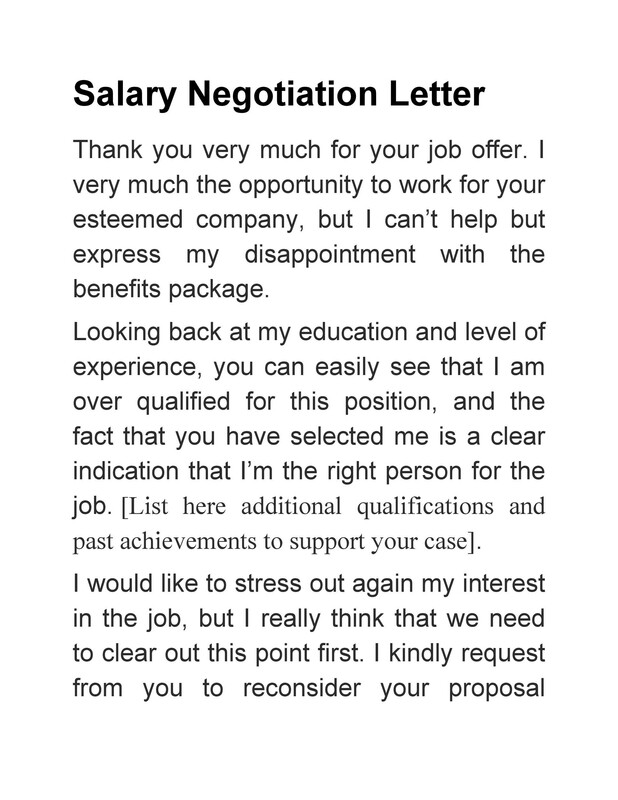 So, when you receive a low salary offer along with a job offer, you may consider replying to the employer by sending a salary negotiation letter. 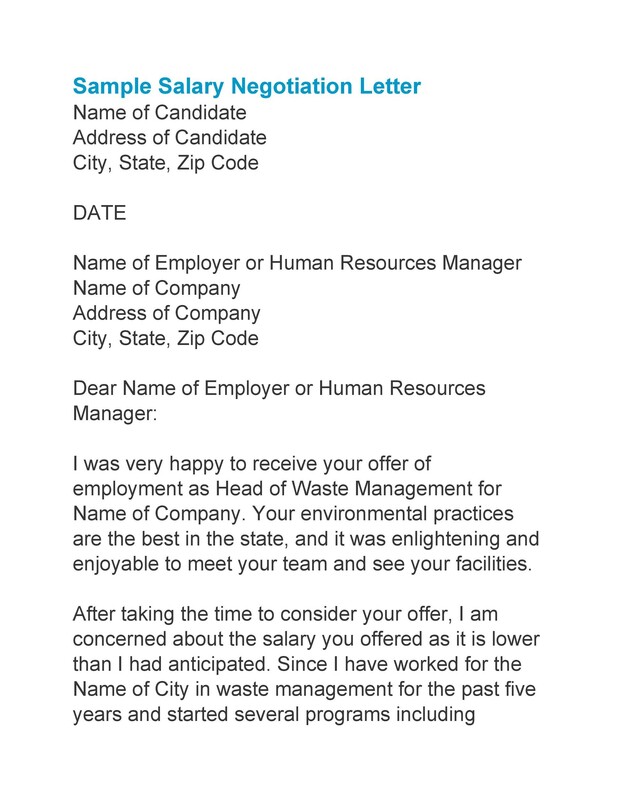 When it comes to job applications, the salary is a sensitive topic. 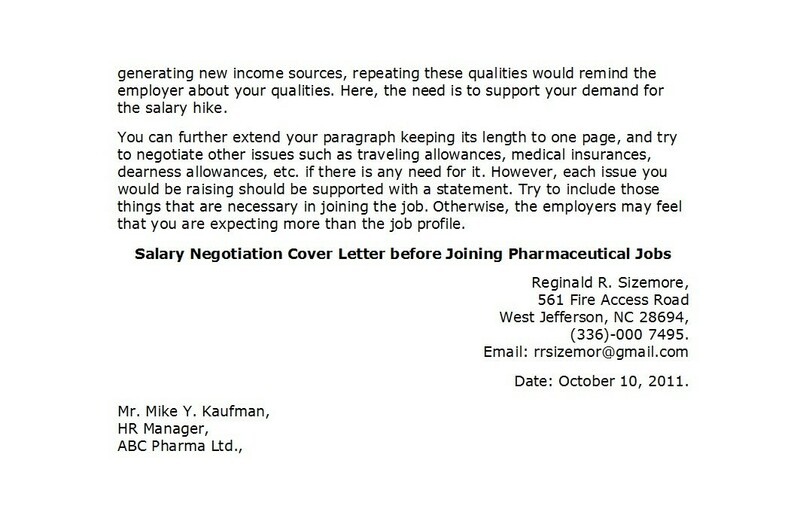 Therefore, if you’re sending a salary negotiation email or letter, choose your words carefully. 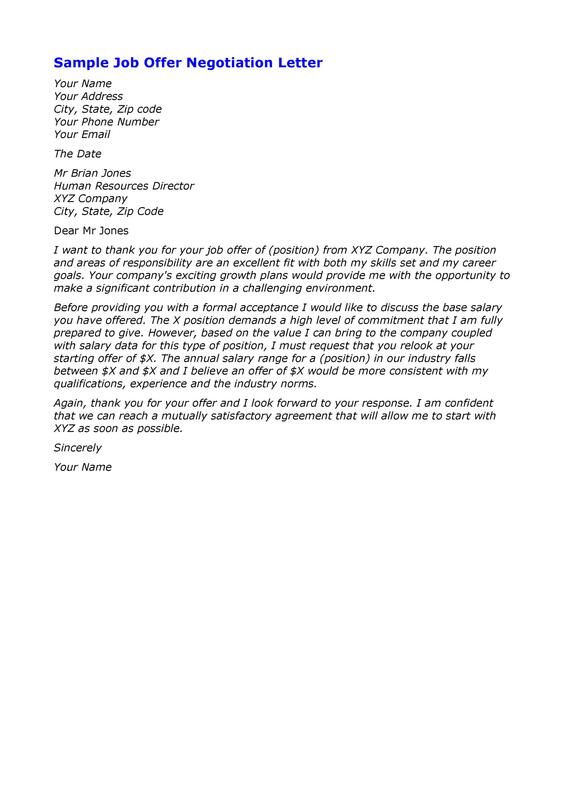 It’s never a good idea to simply give a large number and expect the employer to agree. 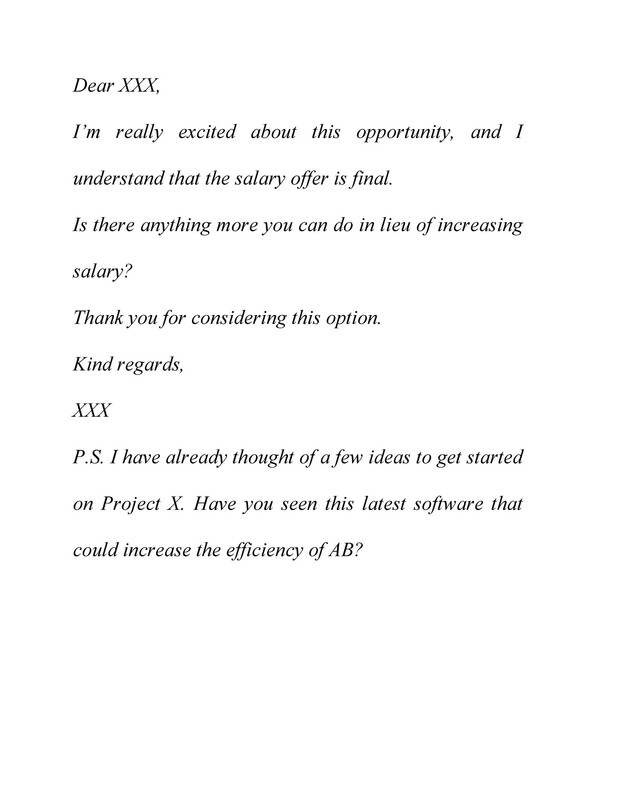 Conversely, if you’re not happy with the salary offered to you, communicating this is essential. 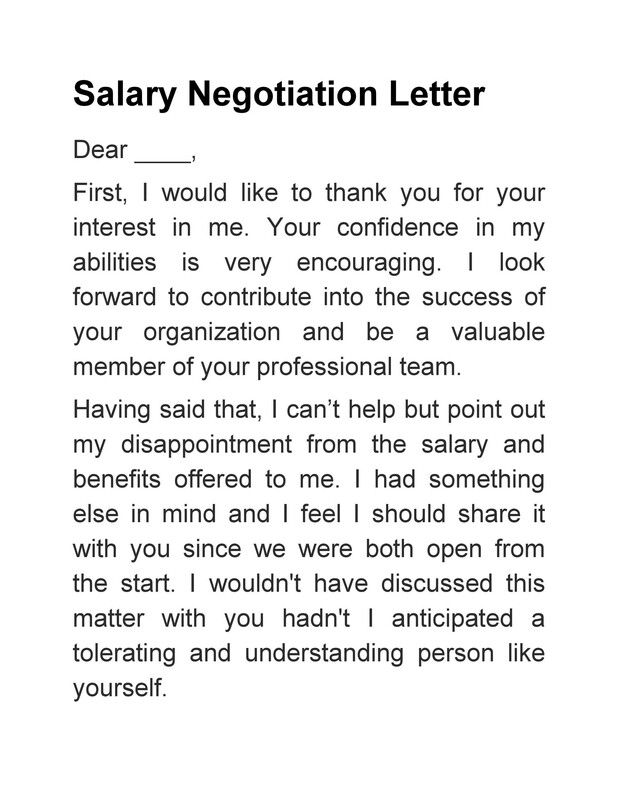 Although this isn’t one of the steps in salary negotiation or in creating a salary negotiation script, this is the first thing you need to keep in your mind. When you consider this, you will have a more positive mindset for when it’s time for the negotiations. Never let your fear of bringing up the topic of salary stop you from receiving what you know you deserve. You know what you’re capable of and you know how hard you work when given a position in a company. 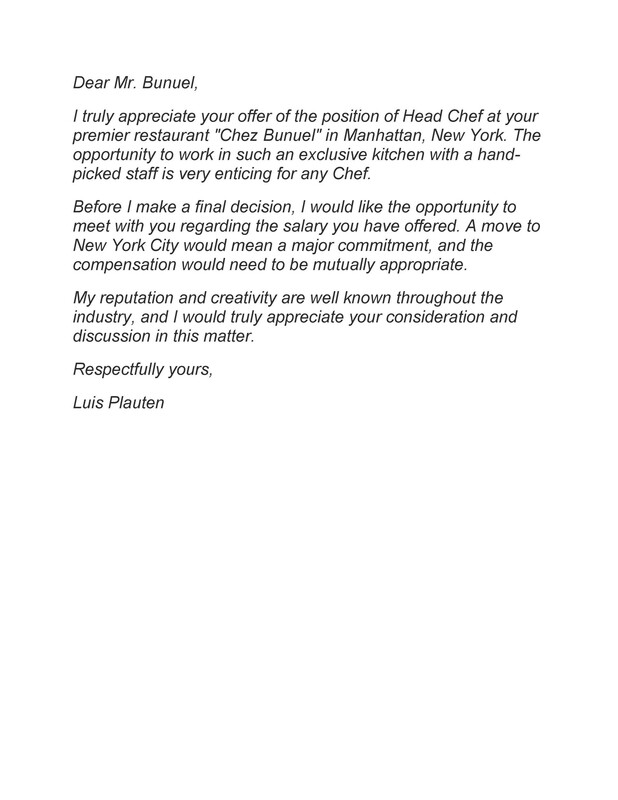 So even if you receive a low salary offer at the beginning, know that this is not final. 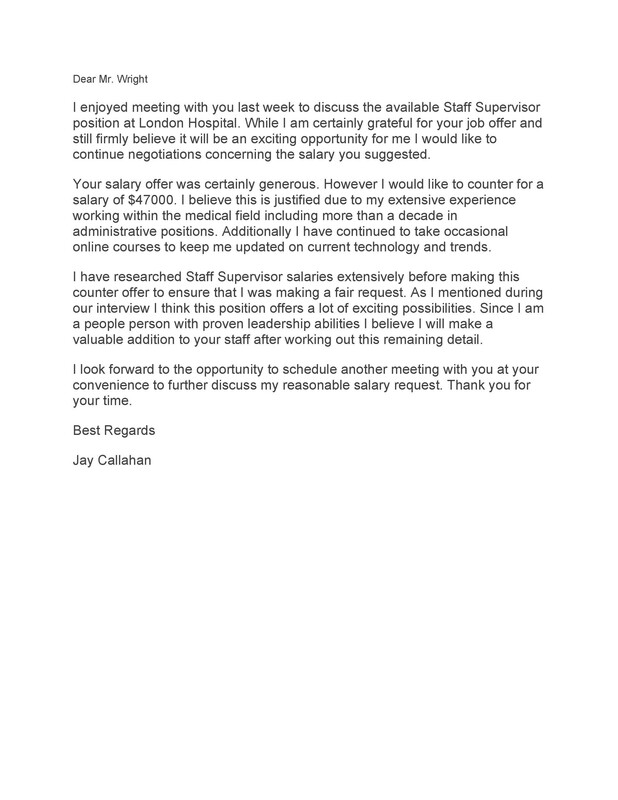 While negotiating the salary, you should also show the employer that you’re genuinely interested in the position. Otherwise, you might come off as only interested in the money. But don’t be too desperate either. 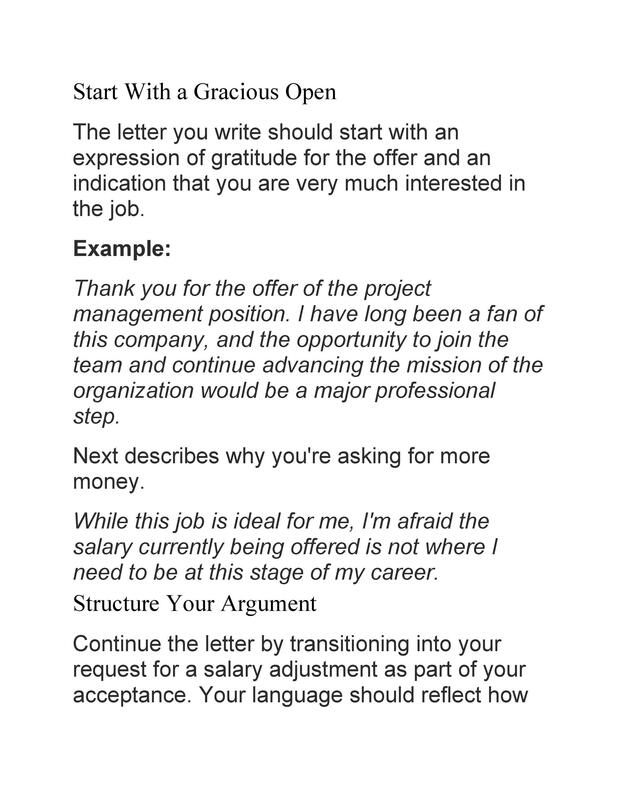 Show the employer that you’re enthusiastic about the position and start your negotiation using a positive tone. This would be better than just complaining about the offer and not even focusing on the position that came with it. When starting the negotiation, a lot of people tend to low-ball themselves just to appear humble. Unfortunately, doing this might make you miss an opportunity to earn more money. 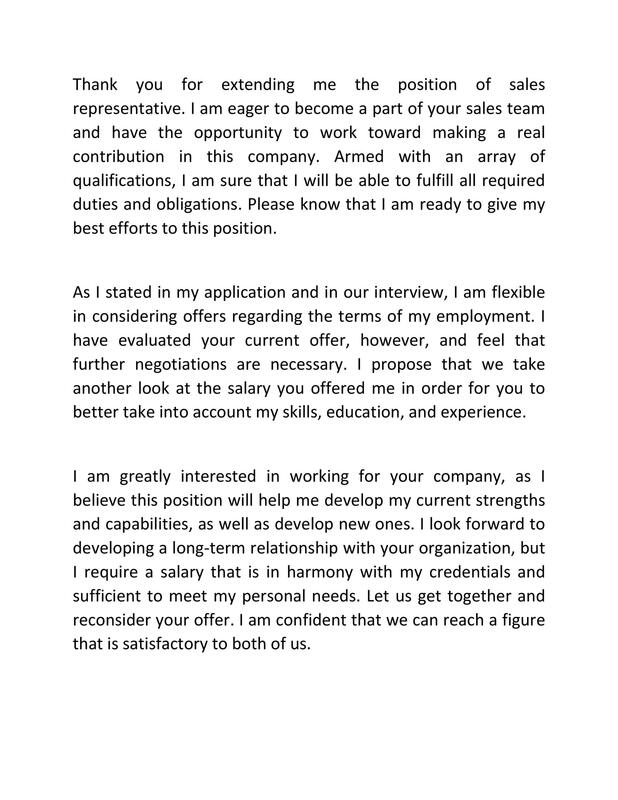 If you want to avoid doing this, provide a salary range rather than a specific amount. This gives you a cushion for whatever the employer decides to pay you. 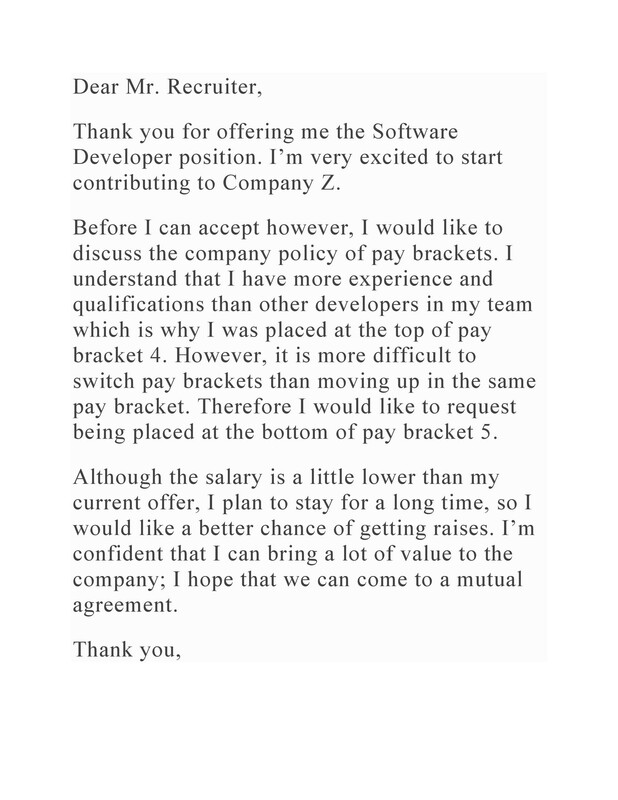 Never ask for a salary range that you know the company cannot provide. 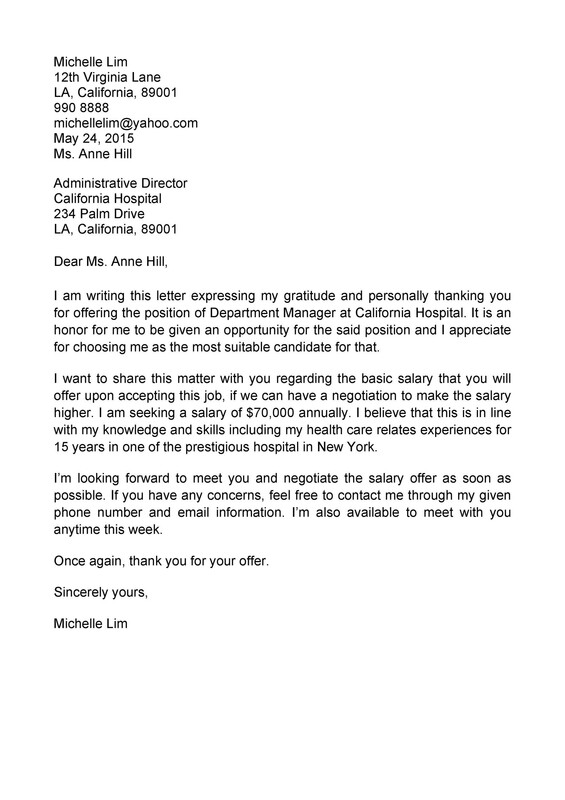 If you have no idea of how much you should receive for the position, do some research. But if you know what to expect because you’ve held the same position or a lower position in a different company, you would have a better idea of how high you can aim for. Even though employers would always offer a lower amount at the beginning, they know that all employees want fair compensation. But when you’re negotiating, don’t just focus on the money. Show the employer that you genuinely want the job and you’re interested in the growth of the company. 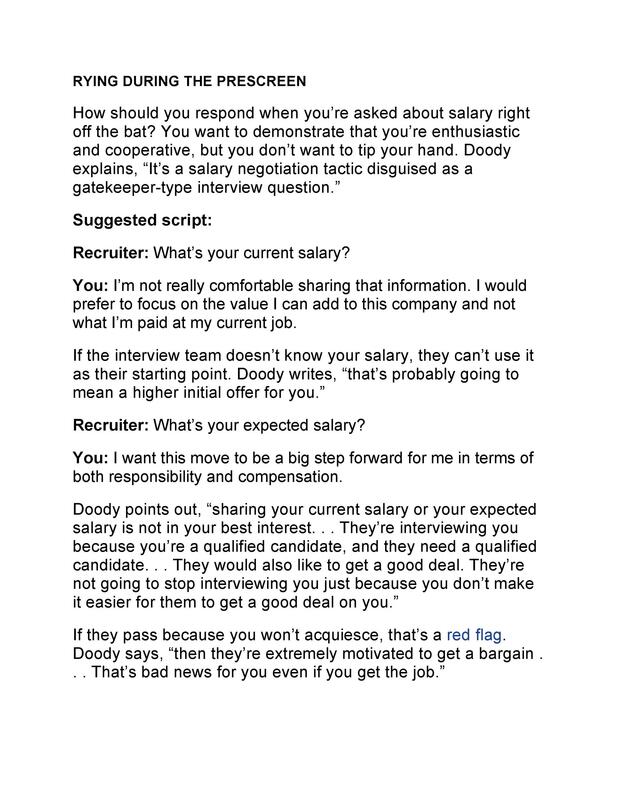 Give an explanation on why you’re asking of a higher salary and why you’re worth it. 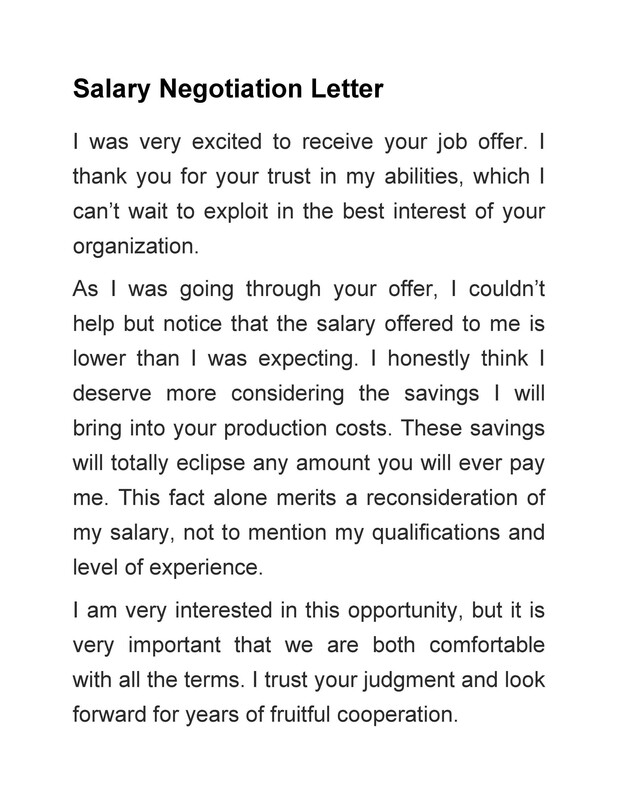 Don’t think of a salary negotiation as a battle between you and the employer. You should always mind how you’re coming off to the hiring manager or the recruiter. Smile and practice politeness and professionalism no matter how the discussion goes. 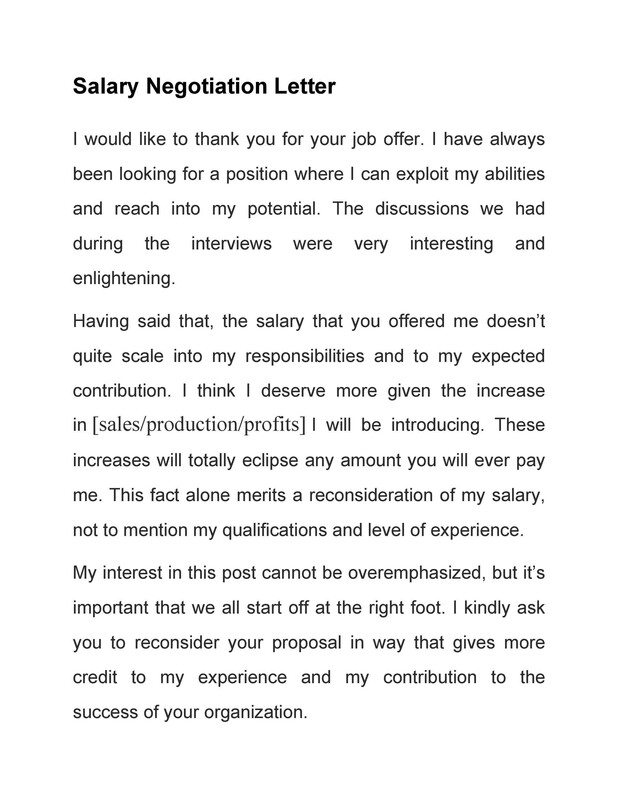 Show some empathy, especially when the recruiter is showing hesitation in terms of giving you higher compensation. Never let them feel like you’re a spoiled child who pouts if you don’t get what you want. When there’s an awkward pause, a lot of people start feeling uncomfortable and intimidated. This is especially true if you’re already feeling tense because of the negotiation. But you need to understand that these awkward pauses occur naturally in the process of communication. The person you’re talking to is just thinking about what you’ve said and is in the process of formulating an appropriate response. In such situations, just keep quiet. Wait for the recruiter to respond after you’ve given your speech. Trying to fill the silence all the time shows that you feel uncomfortable and you’re not confident enough. Also, doing this might make you say things you didn’t mean to. 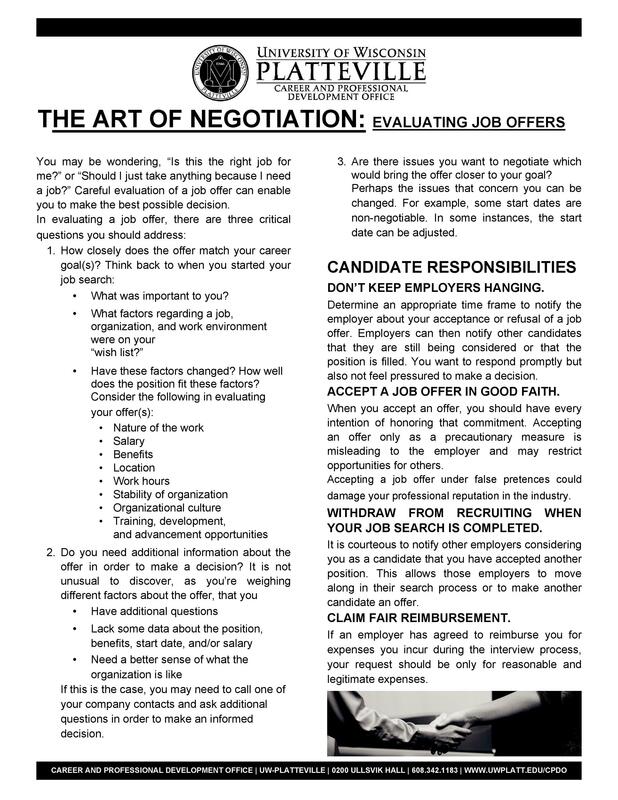 Although employers expect applicants to give a counter offer, they won’t appreciate it if you haggle all the way down to the final cent. You should know when you can keep on negotiating and when it’s time to stop. 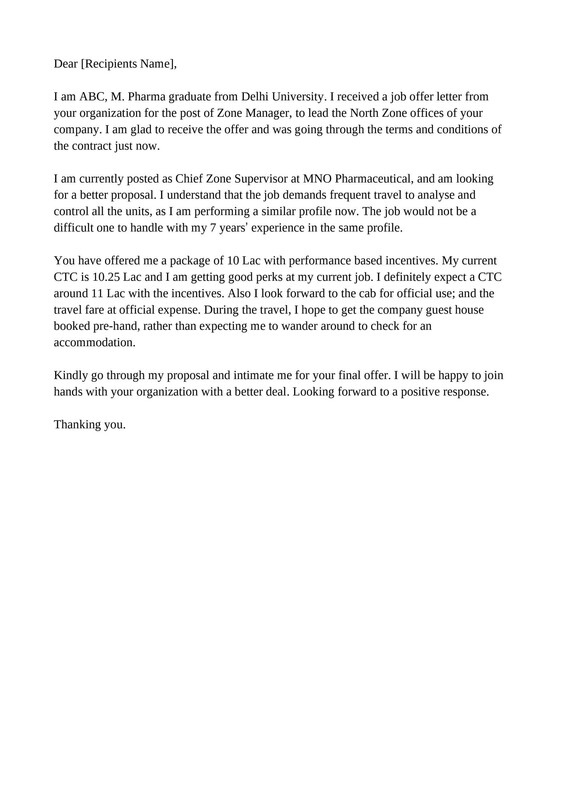 This will make you appear more professional and less desperate. 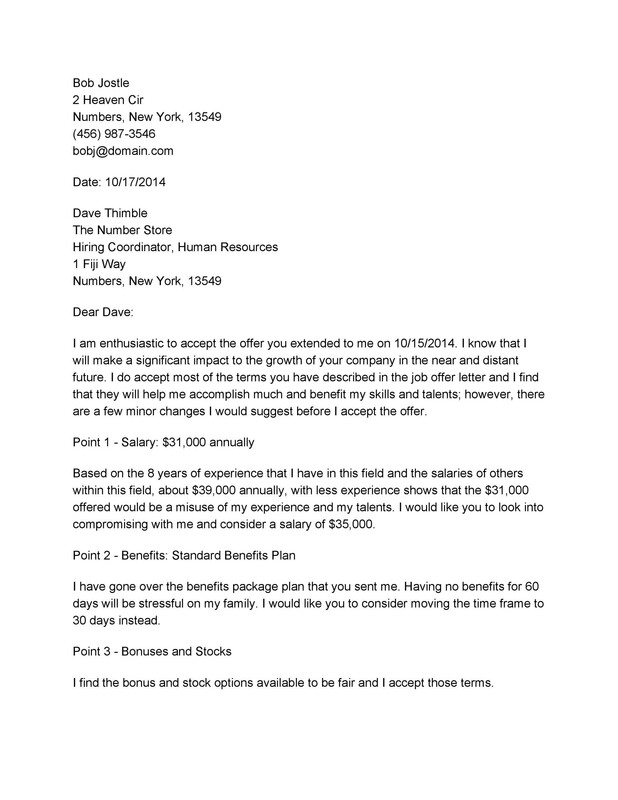 How do you write a counteroffer email? 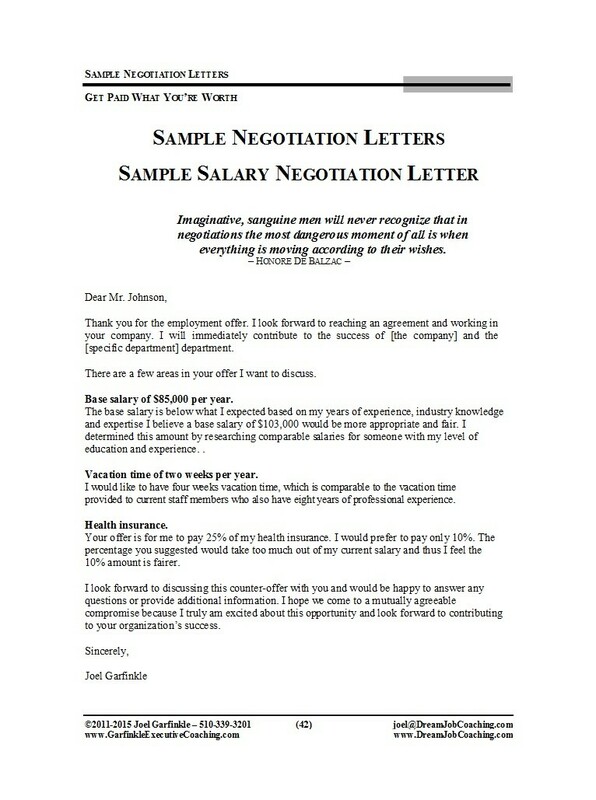 The best time to send a counter offer letter or a salary negotiation email is after you have impressed the employer through the interview but before you sign any contracts. 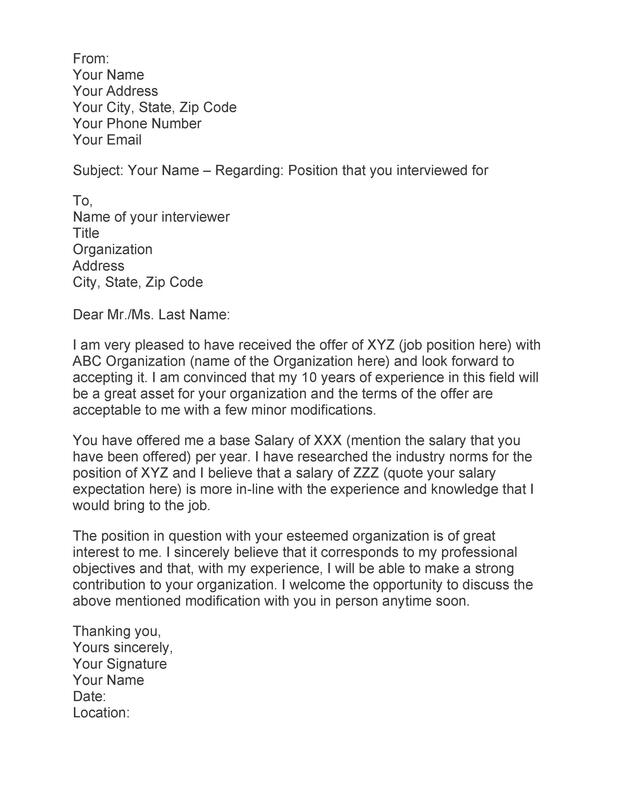 Nowadays, companies usually send job offers through email first. 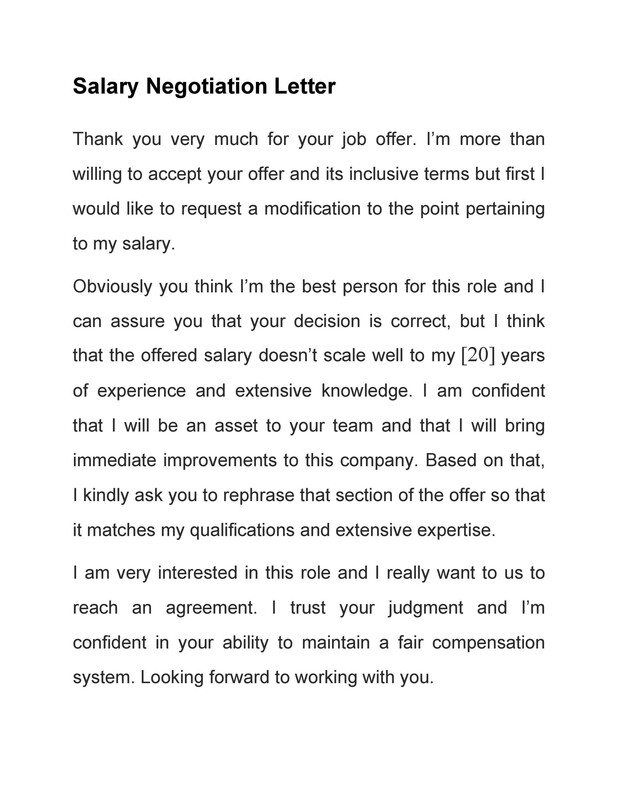 Giving your reply with a negotiation is the best time to open the discussion about the compensation. 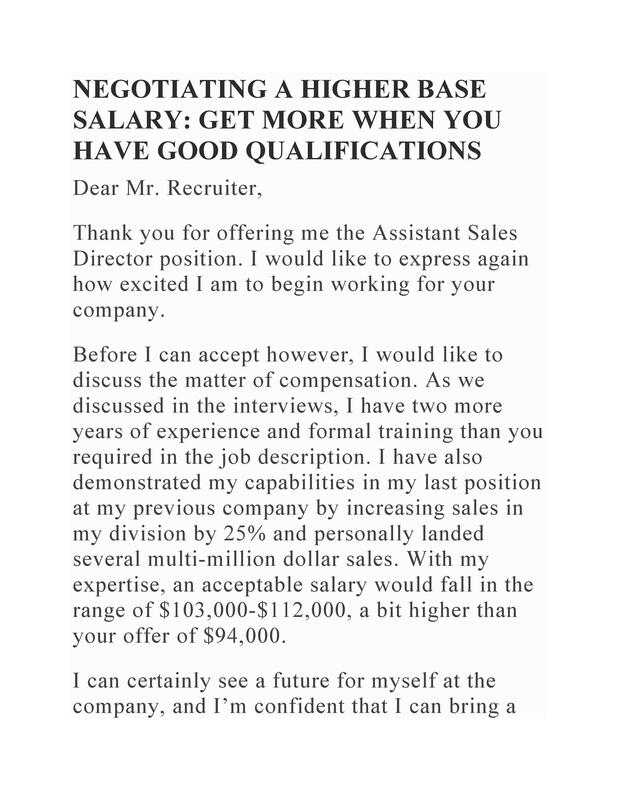 It’s not a good idea to start the negotiations right after you receive an initial offer from the employer. 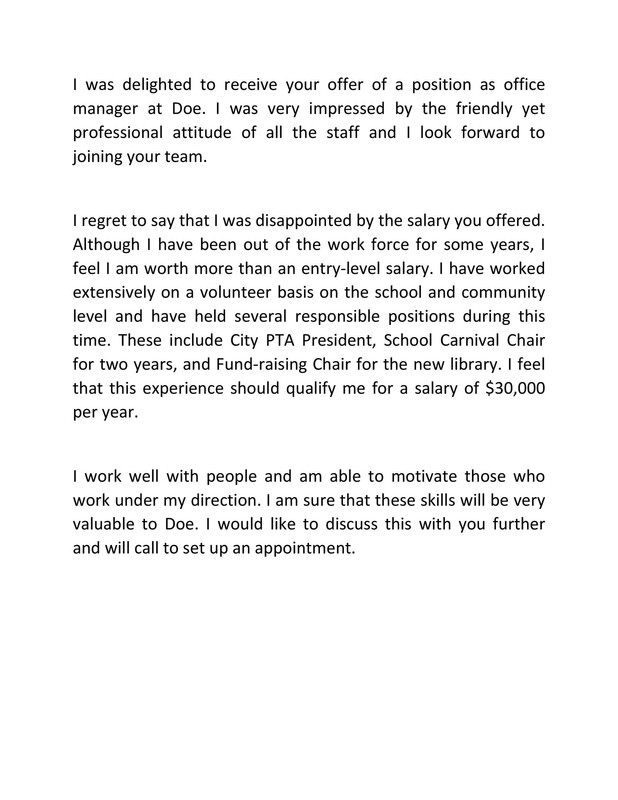 This might give the employer the impression that all you’re interested in is the money and the position isn’t that important to you. 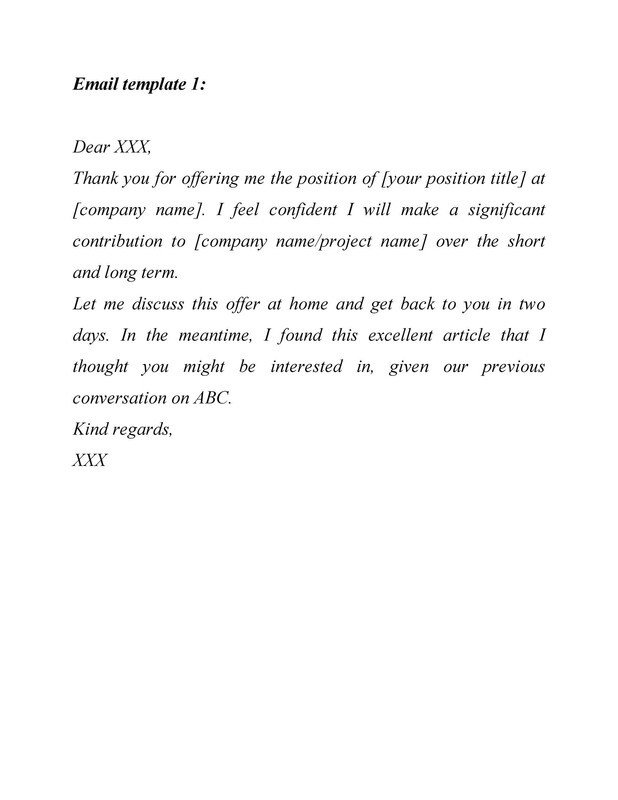 Take some time to reflect on the initial offer that you receive. Most companies would give you some time to think about the offer anyway. 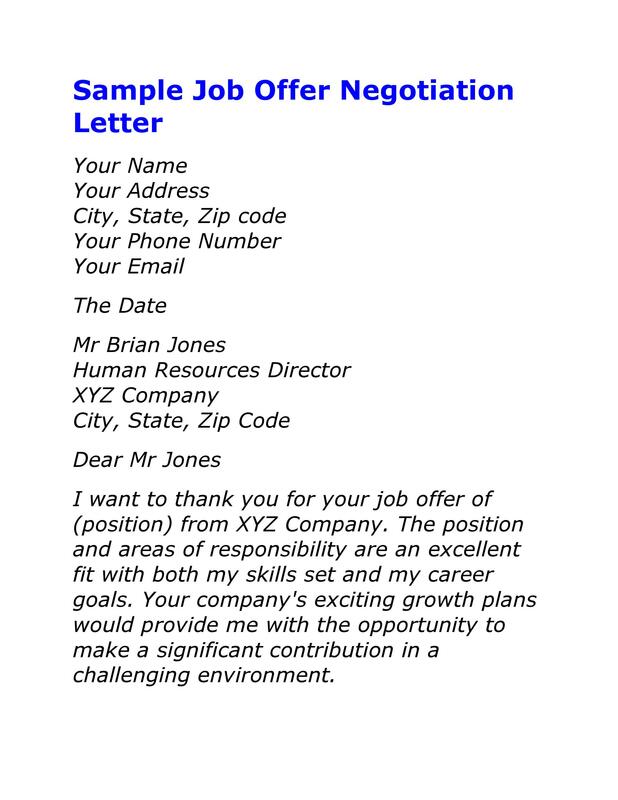 If you think that the conversation you’re about to have with the employer will be a difficult one, it’s better to speak in person rather than through an email exchange. The reason for this is that it’s easier to misinterpret written statements. Once that happens, you have no way to explain what you mean. 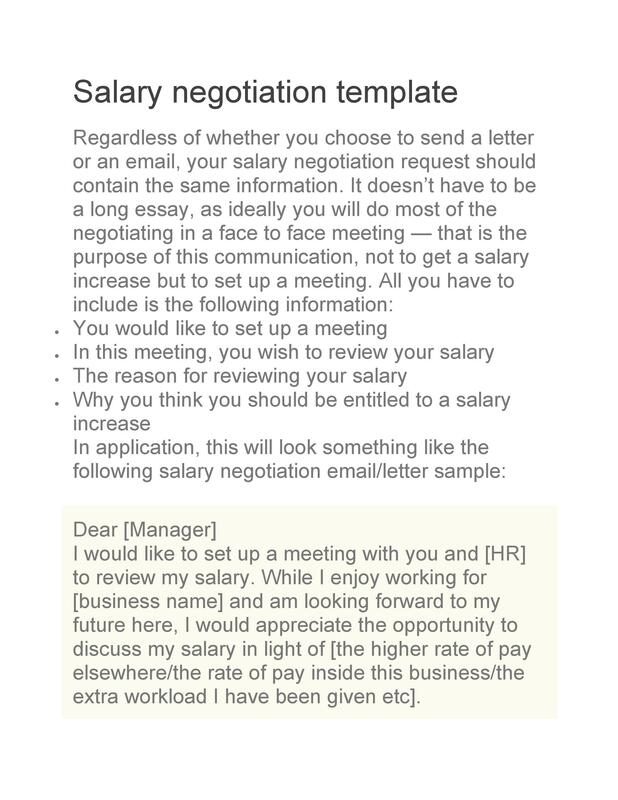 One benefit of salary negotiations done through email is that you have more time to compose yourself, gather your thoughts, and carefully plan what to say. Also, you won’t have to deal with the awkward pauses or situations you might have when you negotiate with an employer face-to-face. 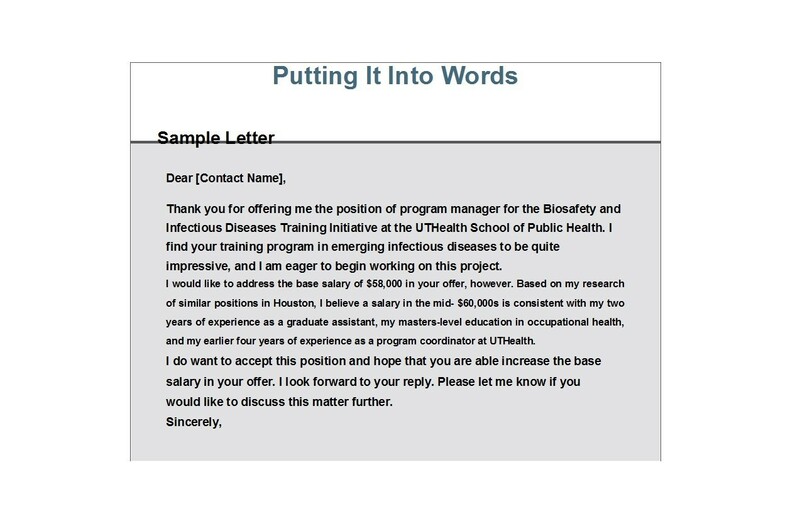 If you receive an offer via email, then you may respond through email as well, especially if the employer specifies this. 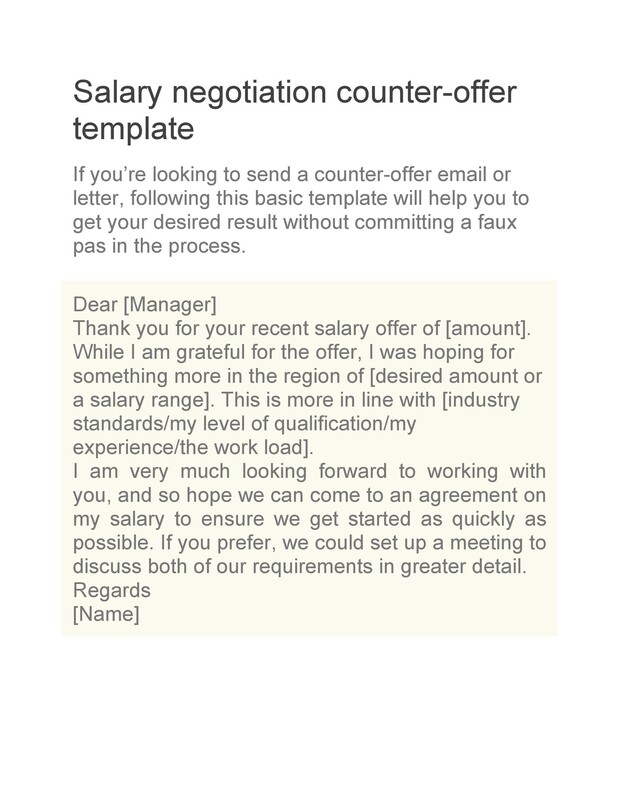 After sending your counter offer, give the employer some time to consider it too. After a reasonable period of time has passed and you didn’t receive a response, you may send a follow-up email and ask for an update. 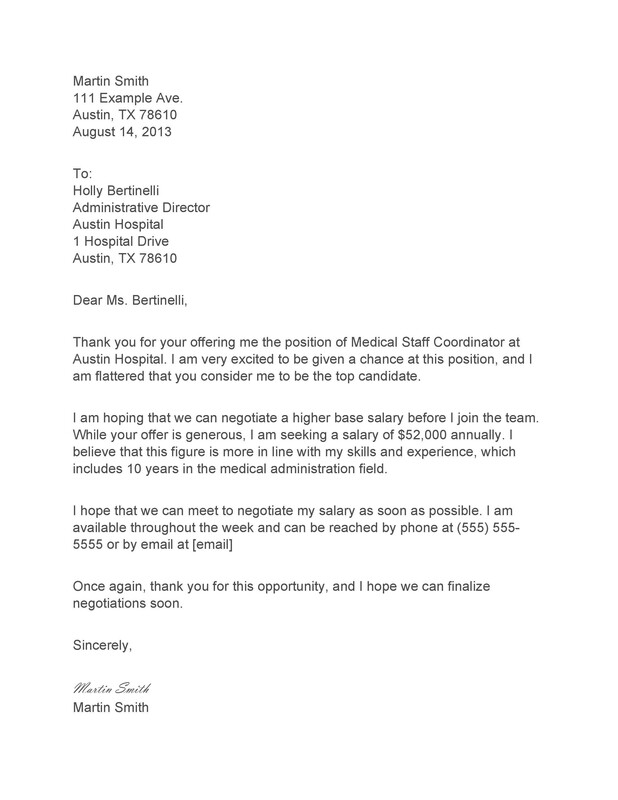 How do you negotiate a higher starting salary? 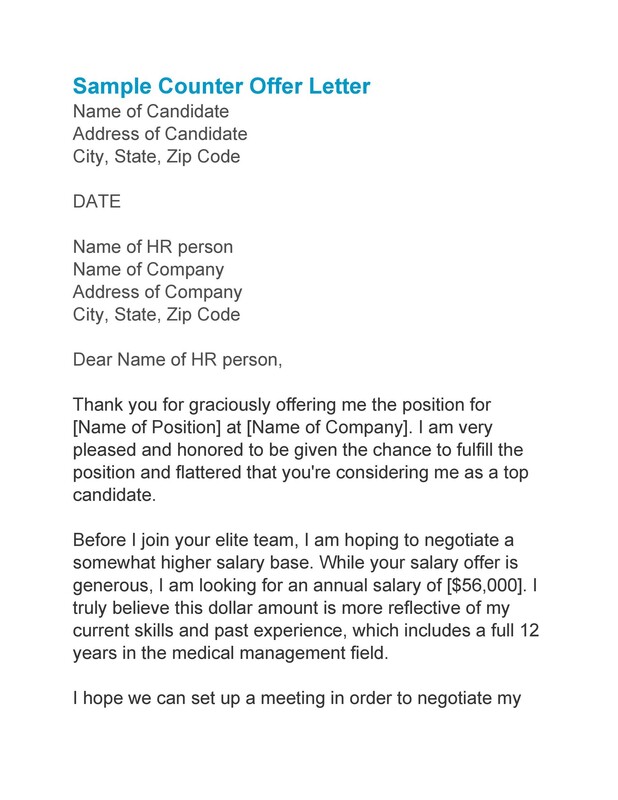 Although emails are becoming more popular now, salary negotiations are still more effective when done in person. Through a face-to-face conversation, the employer interacts with you and invests his time and effort in you. 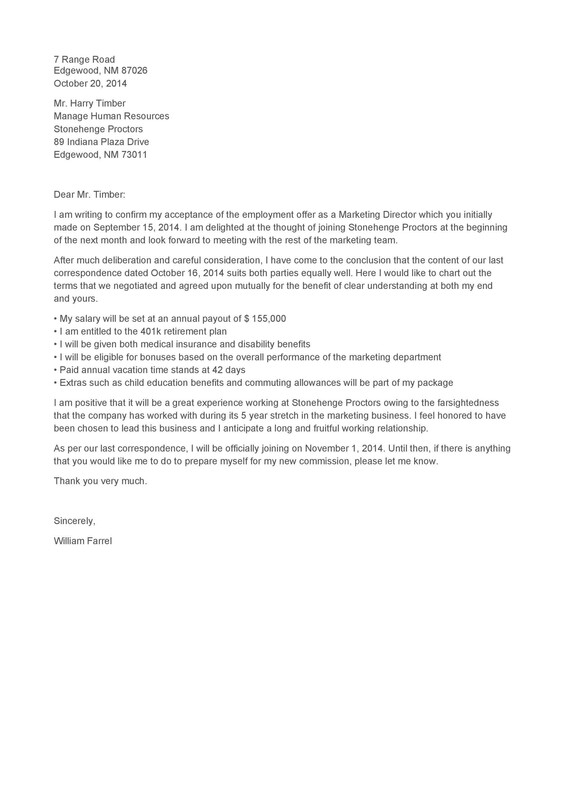 This may help increase your chance of receiving better compensation. After you receive an initial offer, don’t feel too impressed by it. Instead, think about the offer and think about how you can improve your leverage. To do this, you should show your value to the employer by showcasing your experiences and reiterating your interest in joining the company. 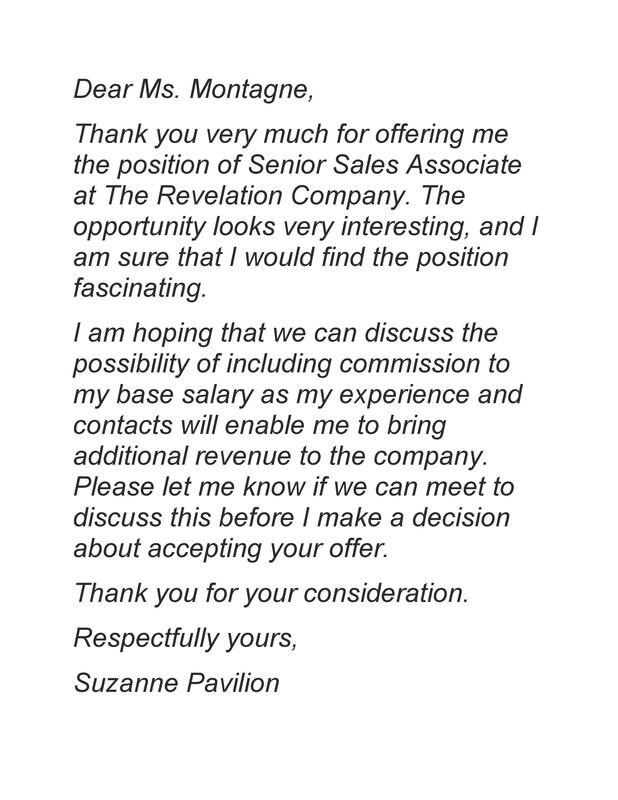 Once you receive the initial offer, don’t take too long to respond. However, don’t talk about numbers at this stage. Also, avoid using language which seems arrogant or offensive. 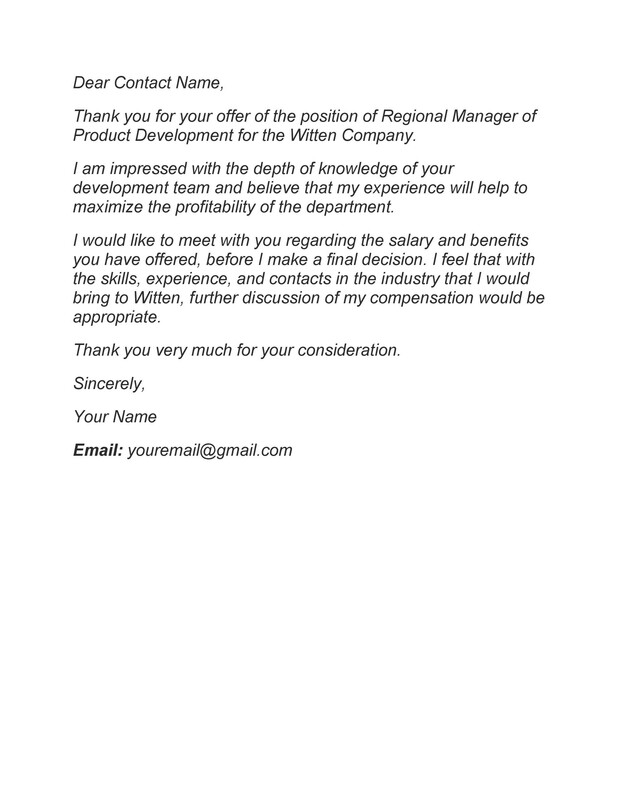 Tell them how you can contribute to the company so they will see your worth. 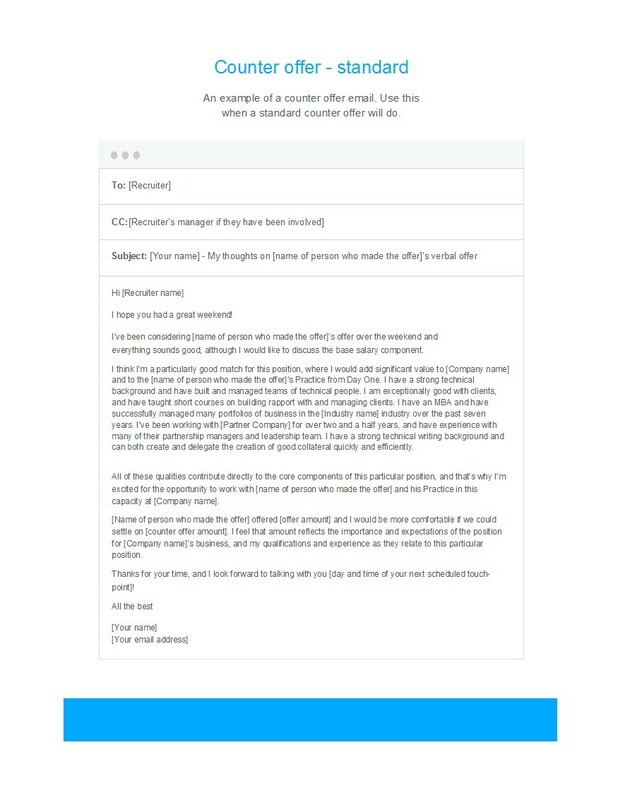 You may receive a second offer after sending your reply to their initial offer. Analyze their response carefully. 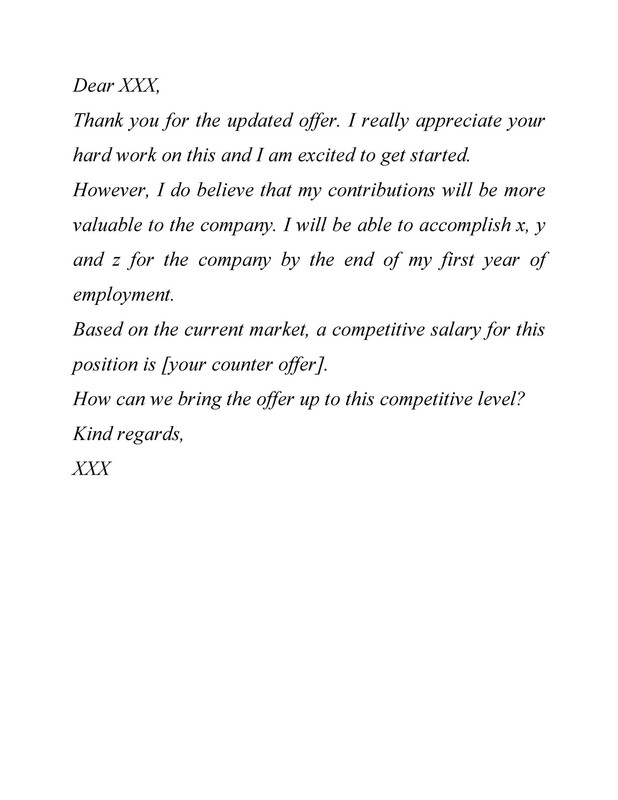 Your reply may already contain details about the salary which means that this is the time to send your counteroffer.